Identity theft is life-changing; you are no longer yourself when it comes to your credit because someone has taken over your "credit life." That doesn't mean they start paying your bills; oh no, they start charging food, clothes and gasoline to a credit card in YOUR NAME. The good credit you've built up over the years is destroyed and it could be years before you totally eradicate the ramifications. The first thing you need to do is contact all three credit bureaus: Experian, Equifax and TransUnion; get a copy of your credit report from each of them (you're allowed one free credit report every year from each of the bureaus.) Have all of them place a fraud alert on your account. 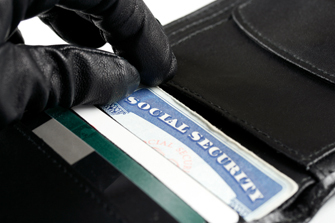 This will signal to potential creditors you could be a victim of identity theft. Fraud alerts last 90 days and require creditors to get your true identity before issuing you credit (which should always happen to begin with; if so, your identity wouldn't be in jeopardy.) Unfortunately, placing a fraud alert on your account will not get you reimbursed for the fraud, but it will keep the situation from getting worse. You might want to place a security freeze on your credit report; this is in the case where there's fraud resulting from a data breach. Before initiating a freeze, give it considerable thought; make sure no legitimate parties are going to need quick access to your credit, like if you move and you need to rent and your new landlord is going to need to see it. A secruity freeze means exactly what it sounds like. Next, file a report with the police or the sheriffs' office; they won't laugh at you; identity theft is a crime, and a serious one at that. Chances are the theif will open multiple accounts in your name, so make sure to obtain a copy of the police report as you will need a copy for each incident of theft, plus a copy for each bureau. Make sure you note anything out of the ordinary on your report. Dispute all items that are incorrect, whether you think they are result of your identity being stolen or not. Send the bureau from which the report came a copy of the police report you obtained from the step above for those items you feel are fraudulent. Call the creditor that allowed the fraud and have them stop the account; more than likely, they'll need a copy of the police report as well. Then, write a letter to the credit bureaus as a follow-up to your fraud alert call; you need to list the fraudulent entries on your report. Now is the time to open new accounts. 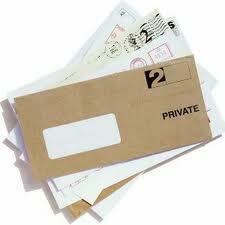 It's very difficult to pay bills and lead a semi-normal life without an account. You many even need a new social security number, depending on the amount of subversion done. Undoubtedly, compared to you, attorneys are more experienced with identity theft; hopefully if it happens to you, it only happens once, so you won't have any experience in dealing with it It would be wise to seek council as soon as you suspect your identity has been hijacked; they can guide you through the process of getting your identity back. It's important that your credit is flawless while you're repairing it. Make sure all your bills are paid on time. Now you'll be building "fresh"credit. How long do you think it would take to get your identity back?